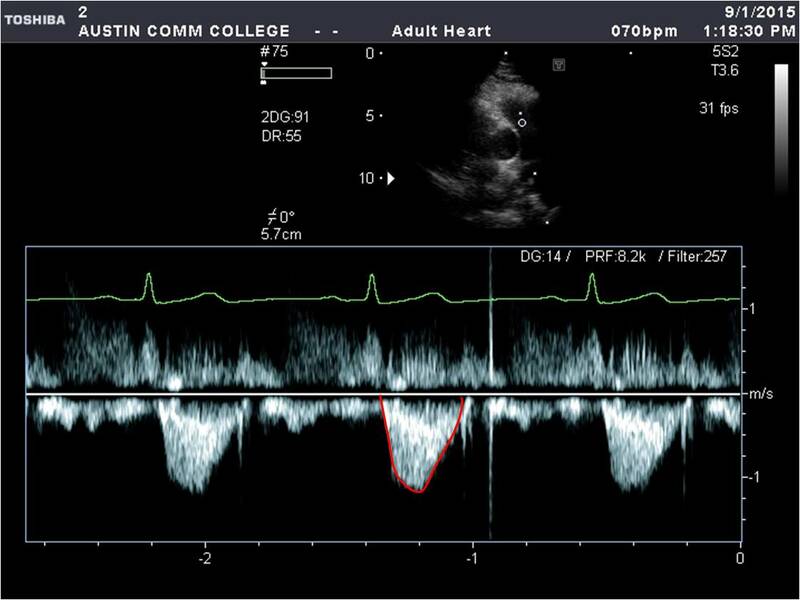 Obtain a pulsed Doppler spectrum of the RVOT from the PSAX view at the base. Place the sample volume just proximal to the pulmonic valve cusps. The spectrum should demonstrate a bright modal velocity and open window. Trace the modal velocity. 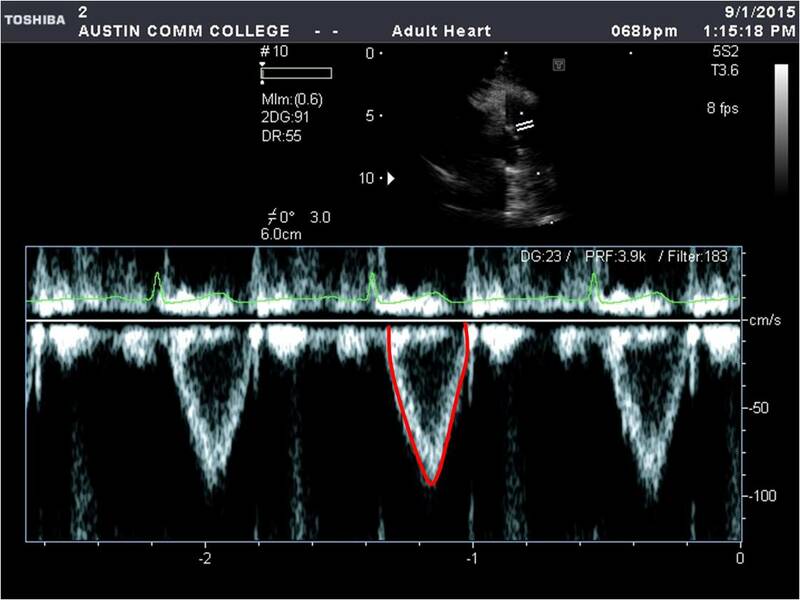 Obtain a CW Doppler spectrum of pulmonic valve flow. Place the cursor parallel to the flow of the valve to ensure the highest velocities are obtained. The spectrum should demonstrate a filled-in bullet shaped spectrum. Trace the VTI.